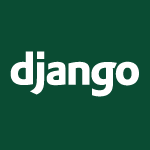 In this part of my Django tutorial series we’ll focus on Generic Views and Automated Testing. Through testing we can quickly check how are site is operating after each change. You can also simulate how the site will interact with a user depending upon an unlimited number of randomized inputs. With a little work up front you will save yourself from numerous future headaches. All of the code follows the video below. # a bunch of errors), or you can automate the process.